Available in Twin, Full, Queen, Cal and Eastern King sizes. 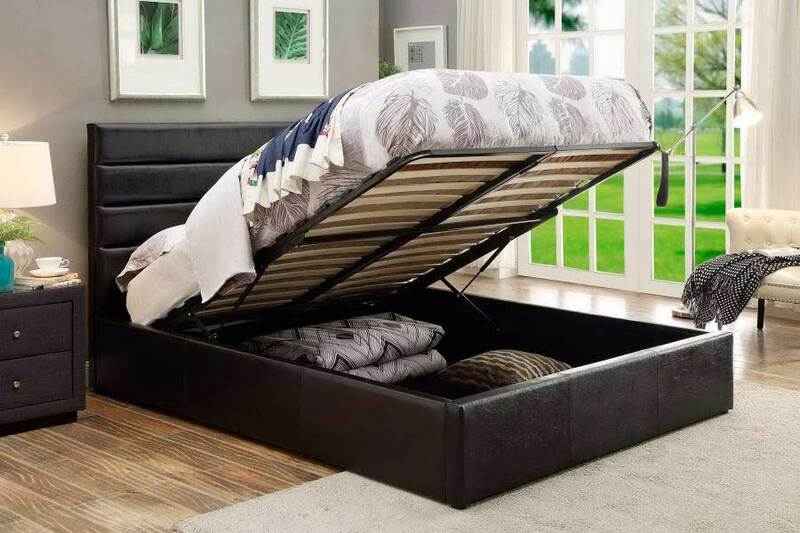 Storage Contemporary style Bed with lift-top hydraulic bed frame in Black Leatherette is a stunning practical bed with an elegant simplistic design. 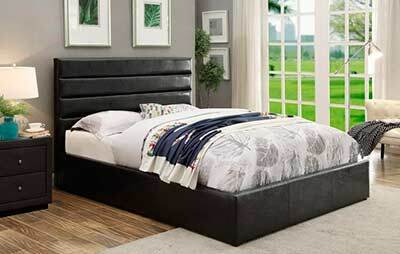 This bed is upholstered in leatherette upholstery, and the frame is made from wood.